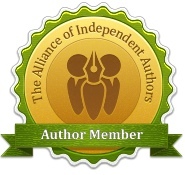 Alternative history stories - historical fiction or not? Historical fiction is a broad church; a re-telling real events, quasi-biographical fiction, romantic, adventure, fantastical and detective stories, tales from the cave to the 1960s and set in every country and social situation you can imagine. And within that mix are counter-factual, alternative history stories, the ‘what ifs’ which project a possible different timeline from our own. Suppose the Spanish Armada had succeeded (Pavane, Keith Roberts)? Perhaps Napoleon had escaped from St Helena (Napoléon in America, Shannon Selin)? 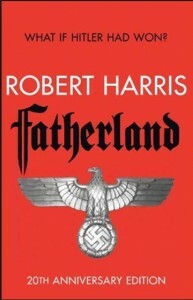 Or Germany had won the Second World War as in Robert Harris’s gripping Fatherland? These are grand scale events, but historical fiction is also about ‘small people’. Ever since I walked on my first Roman mosaic at age eleven, I’ve been mesmerised by the complex, powerful and technological civilisation that was Rome. But even at eleven I wasn’t content with the part played by women in their society: influencers, eminences grises, heiresses and mothers, but de facto as well as de jure powerless. 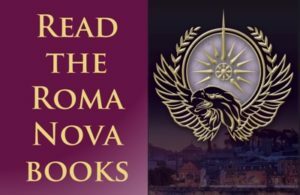 Enter Roma Nova, a modern, alternate version of a Roman society where women play the prominent role. Is it historical fiction? Alternate (or alternative) history has two parents: history and speculative fiction. Alternate historical fiction can sit anywhere along a sliding scale from the well-researched counter-factual following historical logic and methodology to the completely bonkers story designed only to be cool. I explain the types in full detail here; I stand at the historical end because I’m a historian. 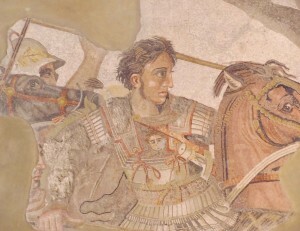 Alternate history is nothing new – Roman historian Livy speculates on the idea that the Romans would have eventually beaten Alexander the Great if he had lived longer and turned west to attack them (Book IX, sections 17-19 Ab urbe condita libri (The History of Rome, Titus Livius). The basic characteristics of alternative history are three-fold: firstly, the event that turned history from the path we know – the point of divergence – must be in the past. Secondly, the new timeline follows a different path forever – there is no going back. Thirdly, stories should show the ramifications of the divergence and how the new reality functions. The world can partially resemble our timeline or be very different. Sometimes there are documented historical characters, sometimes entirely fictional ones or a mixture of both. In no case are alternate history stories parallel or secret histories such as The Da Vinci Code or fantasy like Noami Novik’s Temeraire series. But isn’t alternative history all invention? Yes and no. Plausibility and consistency are, as in all historical fiction, the key guidelines so that the reader is not lost or alienated. Local colour and period detail are essential, but only where necessary and when relevant. The foundation step is to identify the point of divergence and make it a logical point where history could split and cause an alternative time line to emerge. 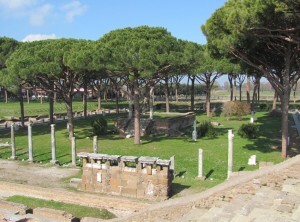 My books are set in Roma Nova in the 20th and 21st centuries, but the country’s origin stretches back to a divergence point in AD 395 when the Roma Nova founders fled Rome after the Christian Roman emperor Theodosius issued the final edict outlawing all pagan religions. ‘Rome’ was significantly different in AD 395 from how it had been in 200 BC. For instance, the sestertius, the archetypal silver Roman coin that pops up in TV and films, had disappeared by the late fourth century. The gold solidus served as the standard unit at that time, so my modern Roma Novans use solidi. Roma Novans hold their culture and history very dear and see it as both a purpose and method of survival. In INCEPTIO, our heroine finds a forum, senate, a family based social system, all ruled by an imperatrix. The military elite is called the Praetorian Guard and service to the state is valued before personal pleasure or gain. Well, in theory! Roman homes are based around an atrium with a set of ancestor busts and statues (imagines, pronounced imagine-ays) in the hallway. Although Latin is the official language, naming conventions have evolved along with the social system. And finally, as with all historical fiction, my characters must act, think and feel like real people. The most credible ones live naturally within their world, i.e. consistently reflecting their unique environment and the prevailing social attitudes. Thus Roma Novans are tough and ingenious and their language, including slang and cursing, reflects this. Of course, it makes a stronger story if the permissions and constraints of their world conflict with their personal wishes and aims. But that’s what happens in all good fiction! 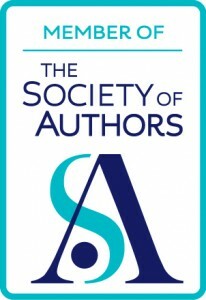 6 comments to Alternative history stories – historical fiction or not? Some very good points. I think historical fiction and alternate histories both need to have people and a story at their core. When I was looking to write a novel, I started by trying to find an idea I would be really interested in. In November 2015, it struck me that there is a great story to be told about the people involved in and the story of the Gunpowder Plot in 1605, so initially the novel was going to be historical fiction. I then hit on a title, Remember, Remember the 6th of November and a counter-factual set of events near the end began to develop. Whether the end product is historical fiction and/or alternate history, I want people to remember the story and the impact the events had on the people rather than the genre or sub-genre etc. Does that make sense? That makes perfect sense! Sometimes, we are impelled to explore beyond the historical record and it can be very rewarding. I am definitely in the history end of the spectrum, even if my stories are more reimagined history than alternative history. Absolutely with you! One of the mind-stretching fun things of alternative history is to push beyond reality to explore that ‘suppose it had differently’ idea. But I think it seems more realistic to keep it within a strong historical framework. However, history itself is dynamic and as new discoveries are made, sometimes they seem like cases of althist!